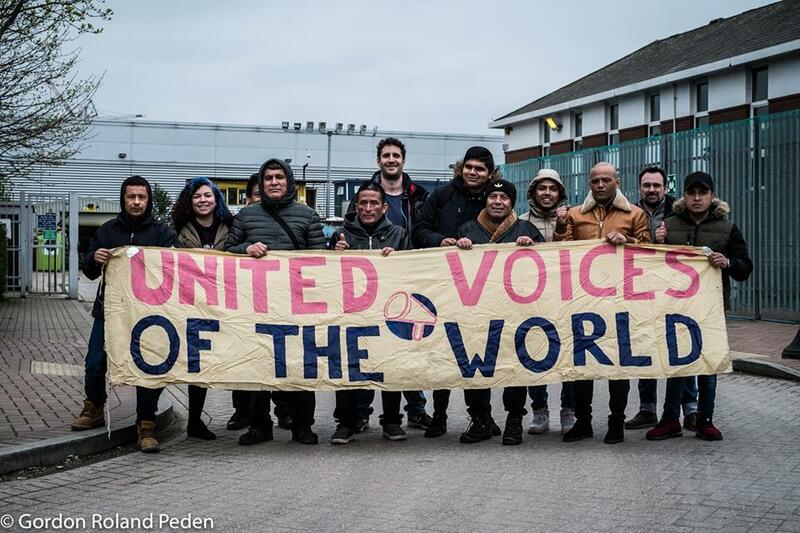 In a 5 hour meeting held last Friday 13th April at the Orion plant, all the workers' demands over health and safety, hygiene and training were conceded. The workers also secured a guarantee of full payment of their wages throughout the two and half week stoppage. Whilst their safety has now been secured talks will be ongoing in respect of the London Living Wage and Occupational Sick Pay which may lead to a strike ballot in the coming weeks. Photos taken by Gordon Roland Peden at the plant on Friday 13th April. Woah, they got full back pay covering the strike period? That's pretty amazing. ধর্মঘট শ্রমিকদের লড়াইয়ের কার্যকরী অস্ত্র। জয় হোক!! বিপ্লব দির্ঘ জীবি হোক!! Once success bring another big success, go ahead comrades! !